In her memoir A Dream Called Home, Reyna Grande offers an inspiring account of her quest to find her place in America as a first-generation Latina university student and aspiring writer. Grande will be in Rochester today as a 2018 "Rochester Reads" author at Writers & Books. Tonight, she will talk about the writing process at a free event. Click on the LISTEN link above to hear an interview in which she talks about her experiences as an immigrant, her thoughts on current U.S. immigration policy, and how writing helps her stay connected to her home country, Mexico. 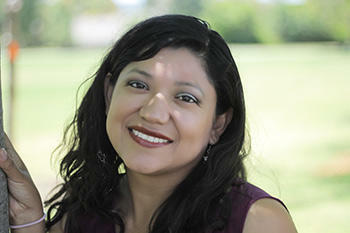 Reyna Grande will be at Writers & Books tonight – Monday, October 22 – from 7:00 p.m. to 8:30 p.m. The event is free and open to the public.